Dog people are a unique breed of humans. Dogs make us do silly things like talk in baby voices. They make us laugh when there’s really nothing funny other than the great feeling we get from sharing a moment with our dog. Dogs represent our inner child. It’s no wonder dogs help us have lower blood pressure because we revert to a younger more innocent self when we are with our dogs. Even when we can’t be with our dogs, we surround ourselves with their likeness. We label our vehicles, phone cases, credit cards, wall, home décor, clothing, purses, jewelry, hats, shoes, and coffee mugs with dogs. This helps us show everyone how much we love dogs! It also helps us connect with others who share our passion for these wonderful, loving and sweet fur babies. So what is it that makes a person a dog person? Dog people are over-the-top dog lovers. You’re a dog person if you consider your dog part of your family and include them on your holiday cards. You might even get your dog a birthday cake to celebrate their birthday. Thousands of dogs now have their own Instagram accounts so they can have cyber-dog friends around the world, share their awesome dog photos, and “communicate” with other dogs. We work to support our dog’s lifestyle. Think about it. The cost of owning a dog is not just annual vet visits anymore. Us dog people want the best for our pups. We cook up meals, bake special dog treats, and take them out to eat with us or through a drive-through. Thanks to BarkBox, dogs can get monthly packages for around $22+ per month with a 12-month subscription. There are cool things inside your dog’s BarkBox such as toys, natural chews (made in the USA or Canada), and bags of treats. They are themed for each month, making it fun for both the dog and you to see what’s inside. We install at-home security cameras to help monitor our homes, but really to see what our dogs are doing. There are DNA tests to find out your dog’s breed identity, health history and you can even locate siblings and trace ancestry. Visit https://embarkvet.com/ to see the options available. Online shopping websites, such as chewy make it possible to buy everything dog-related no matter how remotely you live. There are a variety of dog puzzles for brain stimulation and problem solving to work your dog’s logic and reasoning so they are challenged, at least temporarily. There are also really cool home camera devices that let you talk to your dog when you’re not home. Some cameras even distribute treats after you push a button remotely. New technology is added every day for our dogs, including an app that adds fun filters to your dog’s video and lets them mouth words while singing popular songs. Yes, we do everything dog. Outside the home we want our dogs to be social and have a moderately active lifestyle. We don’t want our dogs bored by just the same ol’ same ol’ day after day and week after week. We want to spice up their life and give them something exciting. Helping our dogs have a good day makes us happy! And dogs are easy to please. They just want to be with us or have something to do. They enjoy going on walks, being by our side and sniffing the ground. Some need to spend more energy and enjoy dog parks, doggy daycare, agility, herding, dock-diving, or adventure hikes. Doing almost anything outside of the house is sure to bring a smile to their face. Dog people read and try to interpret their dog’s emotions. We ask our dogs specific questions as if they are little humans. We wait for their response and we listen to what they’re saying. It is common to ask another question if we don’t understand their first response. In fact, dog people can carry on pretty awesome two-way conversations with their dogs. I’m pretty sure in today’s dog acceptance world, that two-way conversations with your dog are normal, but only to dog people. There are even dog people who don’t have dogs. Perhaps they are in between pets for a little while or are waiting for just the right companion to come along. Maybe they have yet to discover that true bond dogs and dog people can have. But that doesn’t stop them from sporting their dog related jewelry, hats, shoes, and coffee mugs or from wanting to pet every dog they see. They’re just as devoted and crazy about dogs, understanding how those two-way conversations work. They hang dog calendars in their homes and offices. 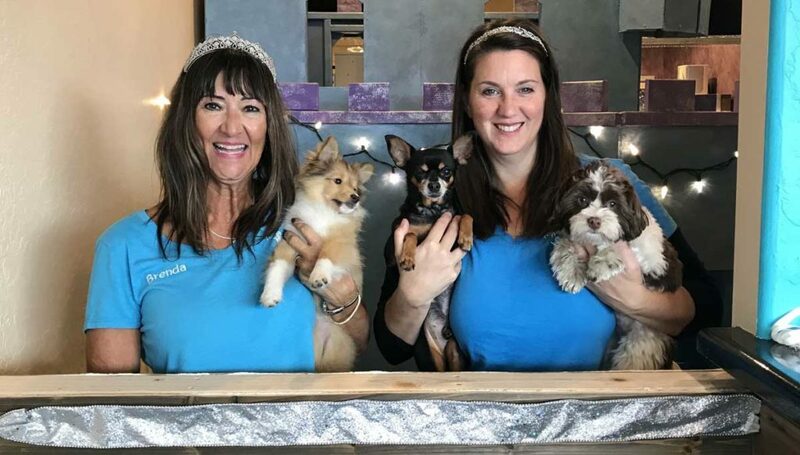 They volunteer at dog rescues and shelters, and they smile and laugh just as brightly when a funny dog commercial pops up on television or when they see a quirky Siberian Husky video on the internet. Dog people truly want what is best for their companions, and we will rarely settle for anything less than the best. 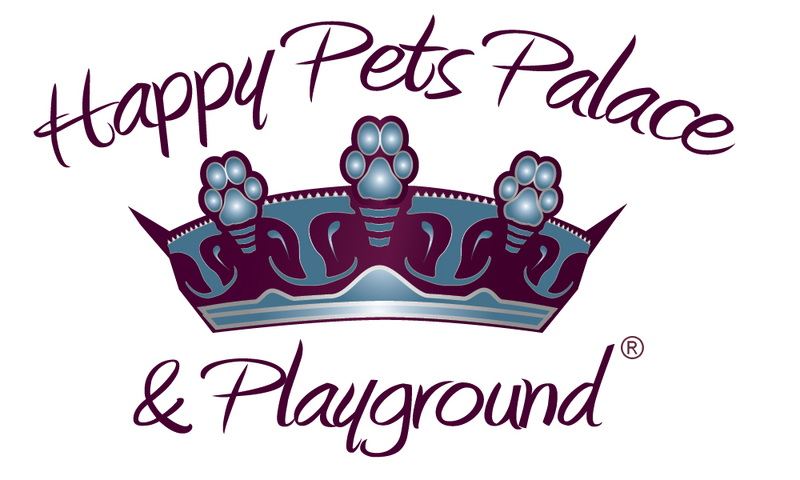 And just like you, here at Happy Pets Palace, we want what is best for your dog! We love every dog who comes to us as though they are our own, and we care for them the same way you would, with lots of love, unwavering attention, and only the best of everything. 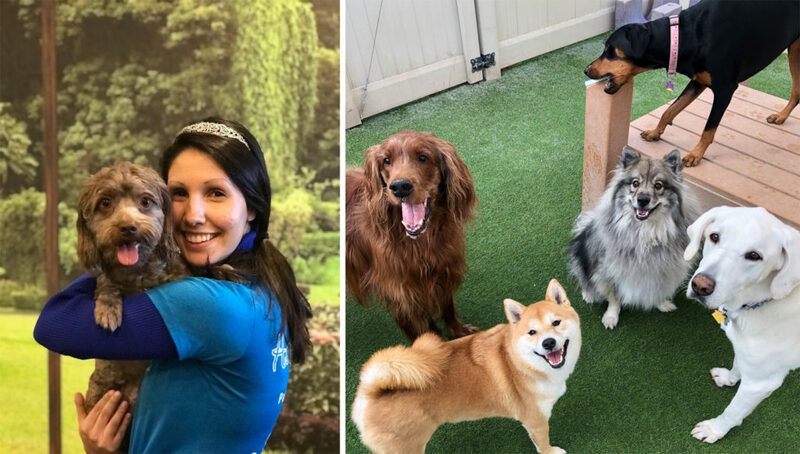 We don’t want every day to be the same ol’ same ol’ for your dogs any more than we would for ours’, so that’s why we strive to create a fun, safe environment for your furry babies to enjoy themselves. Not only do they get to spend time socializing with fellow pack members, but we get to love them up, which is, without a doubt, the best part of our job! 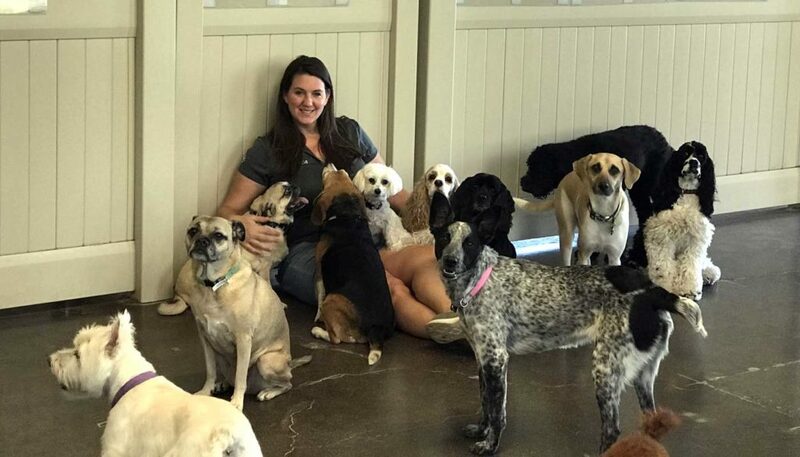 We do what we do because we are dog people too, because we understand the importance of providing a doggy daycare that you can trust with your beloved pets. And because we simply love being with and getting to know your dogs! Every one of them is unique and that’s what we love about them. 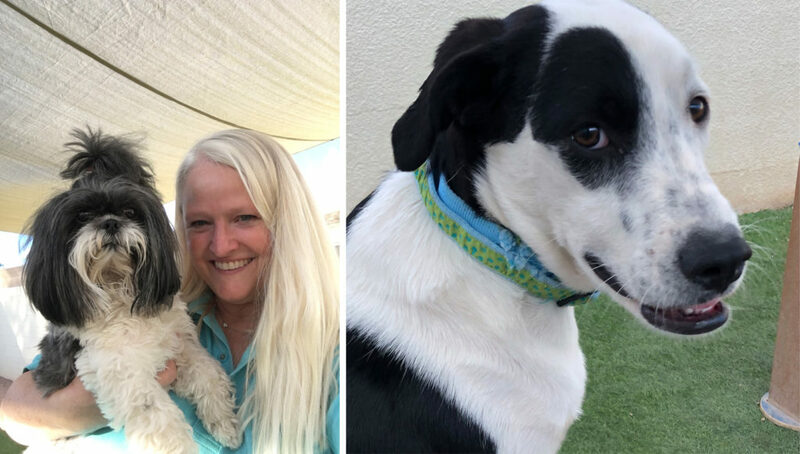 Because we’re dog people, we want you to smile and laugh when you see your dogs via our live web cameras having a blast with the other dogs, knowing they are safe and happy. So come on by! Come take a tour of our facilities and introduce us to the dogs that are the center of your world. And be sure to check out our two new locations in Chandler and Gilbert, in addition to our Mesa facility. Hope to meet you soon!